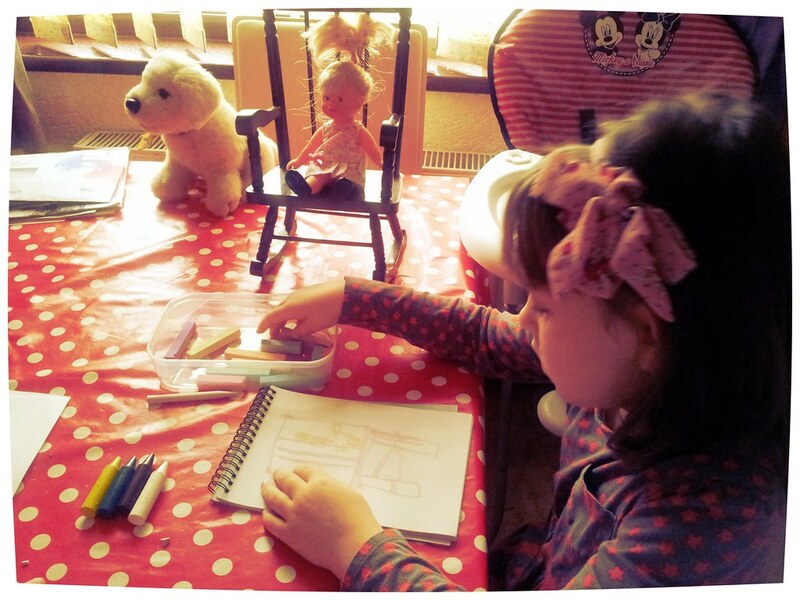 We love dolls in this house, so we were delighted when DKL Toys offered us the chance to review one of their lovely Corolle Dolls. Corolle dolls are steeped in French tradition, each Corolle doll has it’s own unique style and features. 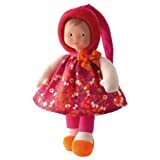 From soft ragdolls, bath babies, interactive dolls that cry, talk and can be fed, through to stunning collectables, there is a perfect doll for every child. A wide variety of accessories and the latest fashions are also available for every Corolle doll. 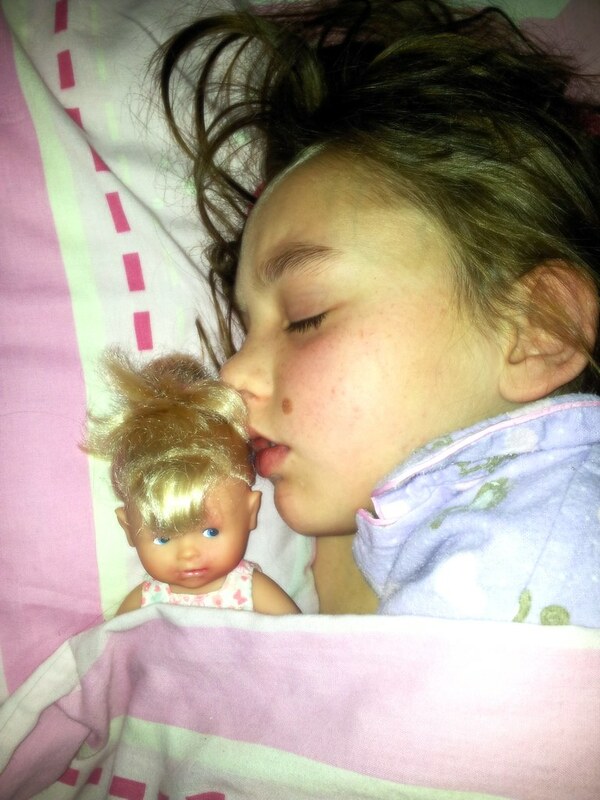 Made from the softest fabrics, vanilla scented skin and realistic features, they are the perfect gift for any child. 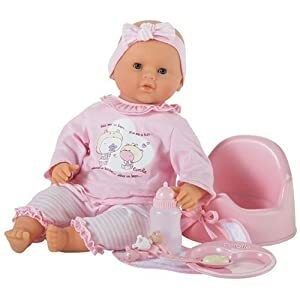 Having children of different ages, we waited in anticipation to see which doll they would send us, as Corolle have a range of dolls to cater for babies from birth, all the way through to pre-teens. Isabelle is nearly one and she loves playing with her sisters’ baby dolls. She cuddles them, sings to them and taps them, whilst saying, “Awww, baabaaaaa”. It is so cute to watch! 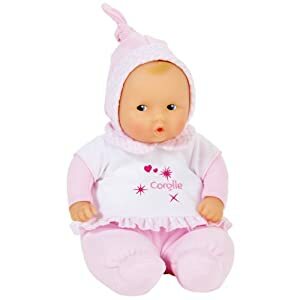 I have wanted to get her, “her first doll” (of her own) for her first birthday and the Corolle Dolls in the BabiCorolle range are suitable from birth. 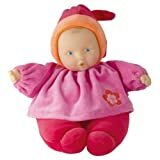 I think she would like the BabiCorelle Miss Cherry or the BabiPouce Activities Doll, which lights up and plays a soothing melody. To cater for older babies, Corolle have the Corolle Calin range, which are suitable from eighteen months and over, for which there are also a range of accessories available. 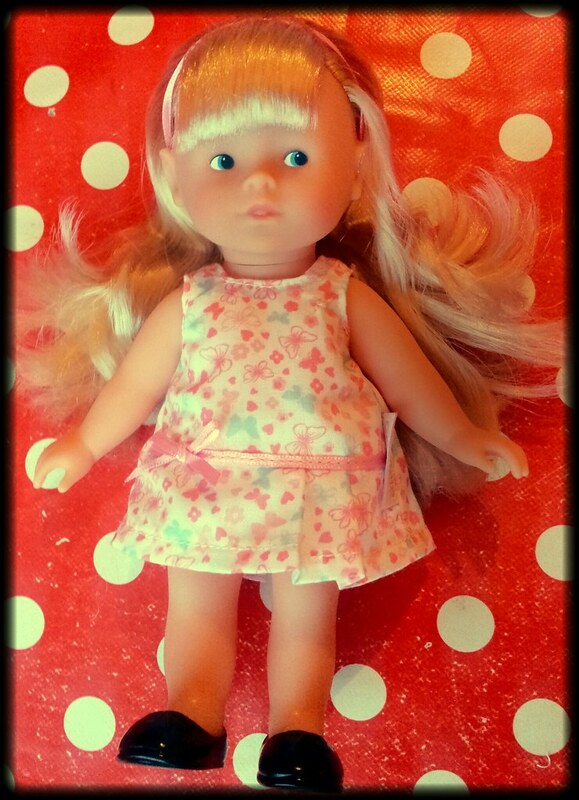 Caitlyn is four years old and likes to play with classic style baby dolls. 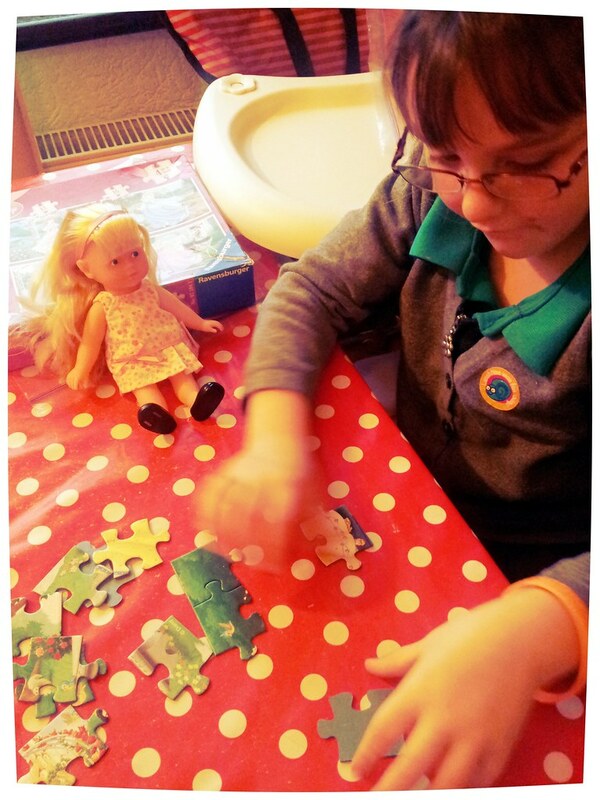 She would like any doll from the Les Classiques and Les Classiques interactive range. 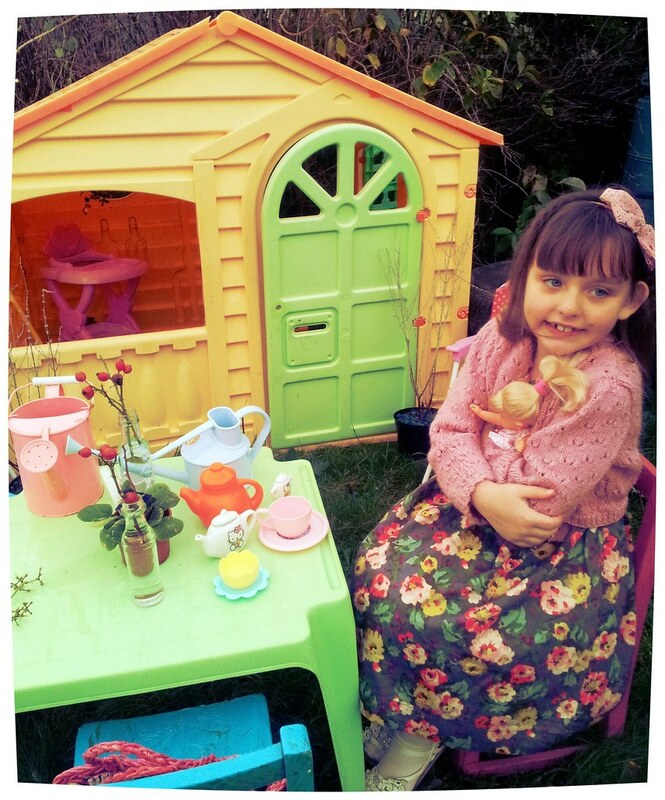 Rebecca is six years old and as well as playing Mum to her baby dollies, she also takes an interest in fashion dolls and loves to dress her dolls in different outfits. Being a fan of dance and ballet, her ideal Corolle Doll would be either the Chloe or Camille Ballerina Doll, for which you can buy extra outfits to turn your doll into a horse rider, give her a more casual day look or dress her up sophisticated for a party. I think that’s my favourite! We were not disappointed however, when the package arrived and we opened our new Dolly. We had been sent the Mini Corolle Blonde. Isn’t she sweet! She smells lovely! 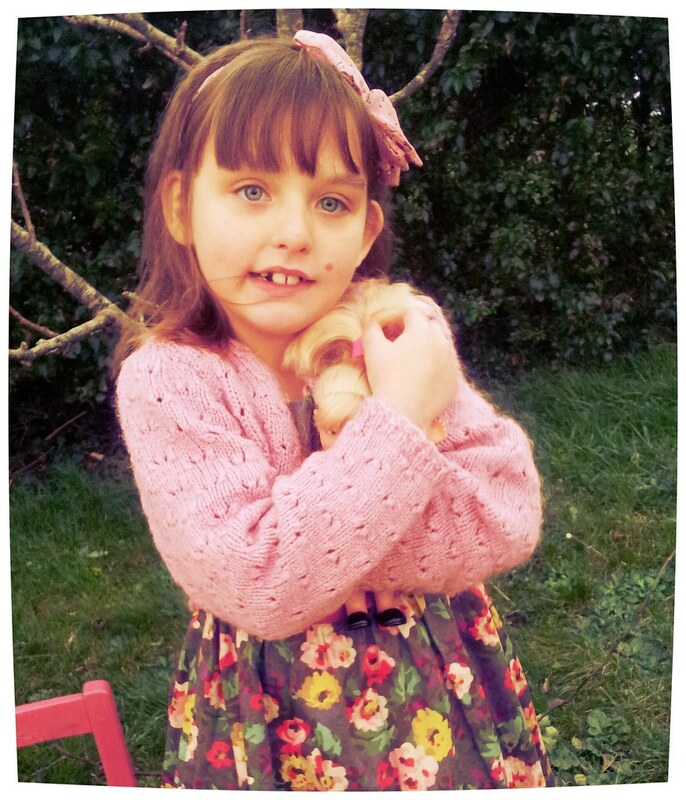 She is suitable for children from the age of three, so both Rebecca and Caitlyn are able to play with her. However, it was mutually agreed between them that she was more of a Rebecca style doll, so she soon became Rebecca’s dolly! She is so cute, just eight inches high, so she can easily be popped into a bag and come along with us. She has not left Rebecca’s side so far, apart from when Rebecca is at school. 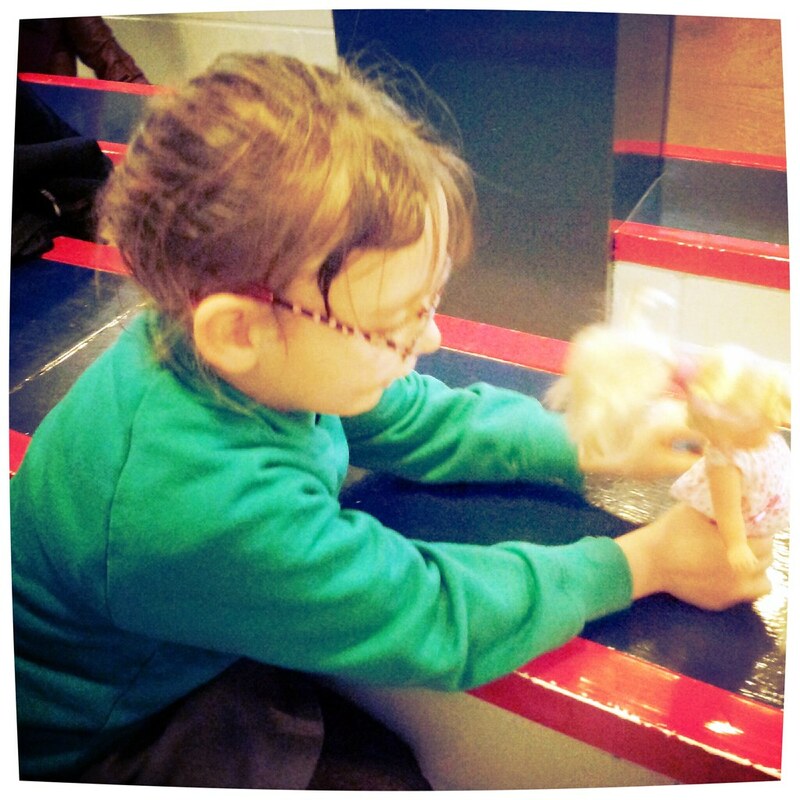 She has brushable and stylable hair, so Rebecca has been practising her plaits, pony tails and buns on her! Rebecca plays with her after her swimming lesson while we wait for Danny! They do jig saws together! She has her own chair and we’ve made her box into a cosy bed for her! 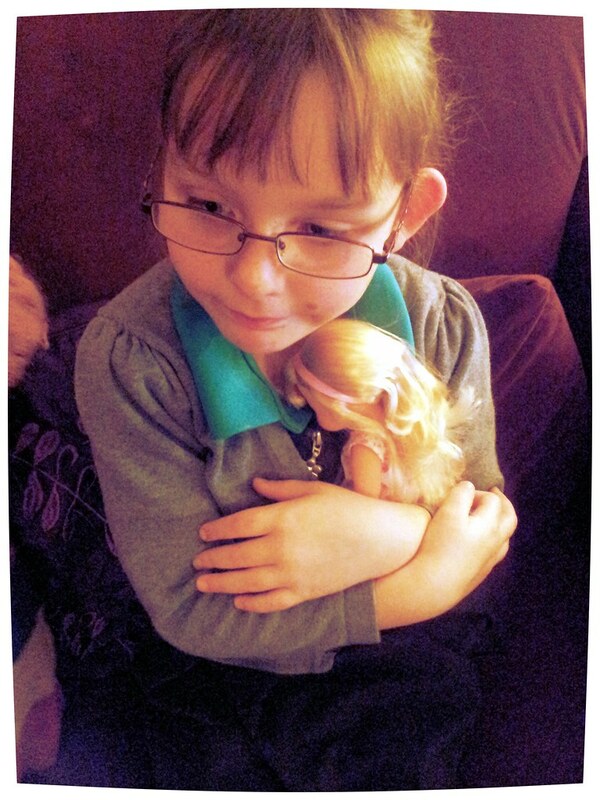 Yes, Rebecca’s new Mini Corolline Doll, which she named Chloe, has become a firm favourite toy with Rebecca. She wants Nanny and me to knit and sew some new clothes for her for Christmas. I think the doll would make someone a lovely Christmas present too. Thank you so much to DKL Toys for letting us review this lovely doll. 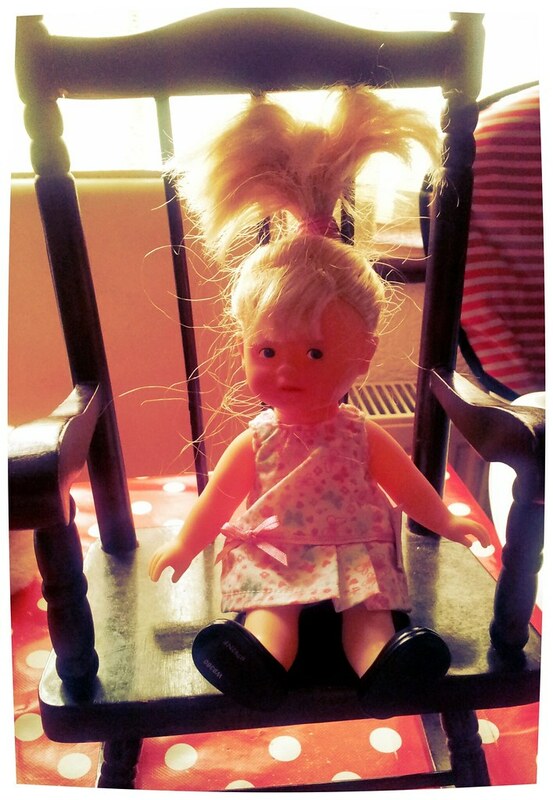 Have you ever had a Corolle Doll? Which is your favourite? Disclaimer: DKL Toys sent us this doll to review. All opinions are our own.